Margaret has been involved with the higher education sector since the late 1980’s when she was appointed as Training and Development Manager for Sheffield Hallam University and during this time, she was elected as the first Chair of the Educational Competencies Consortium and later became its Chief Executive responsible for strategic planning, business development and strategic relationships. Since leaving ECC, Margaret has maintained her contact with the HE sector as Chair of the Board of Trustees of Huddersfield University’s Students Union. Margaret also provided training and consultancy services to member Universities on job evaluation, pay and grading including the use of pay and labour market data, and other HR functions, also lecturing on HR courses. Her previous experience has been in local government and the Health Service, mainly in change management and organisational development. She has worked with all groups of staff ranging from manual to senior managers and advised individuals on career development and career change. She has strong links with the Health Service, being appointed to a Non-Executive Director role with Community Health (NHS) Trust, Sheffield from 1993 – 1997 and then with the South Huddersfield Primary Care Trust from 2002 until 2006, and was the Acting Chair for a year. From 2011 – 2014 Margaret was a member of the Board of Spectrum Community Health, a social enterprise providing substance abuse, sexual health and primary care services to prisons and a secure mental health unit. Margaret has also acted a Lay Conciliator for health bodies and been an Associate Hospital (Mental Health Act) Manager for the South West Yorkshire Mental Health Trust, a role to which she has recently returned. 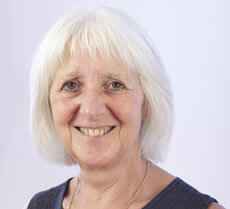 Margaret trained as a commercial Mediator and is currently the Chair of Yorkshire Mediation, a charity providing neighbourhood and work place mediations. She has published a number of books on human resource development topics including The Essential Guide to Recruitment, The Manager’s Guide to Recruitment and Selection and How to be a Better Interviewer and have contributed to The Recruitment Handbook and other updating publications. The People Dimension: was published in 1999 and The Learning Dimension in 2002. Her experience has included numerous Vocational Rehabilitation assessments over a wide range of occupational categories and liaison with retraining centres. Margaret’s expertise lies predominately in her research abilities, her experience in the public sector, particularly higher education and the health service, and especially in the identification and assessment of the competencies required for effective performance in a wide range of occupations and their use to support recruitment and selection and the management of change.